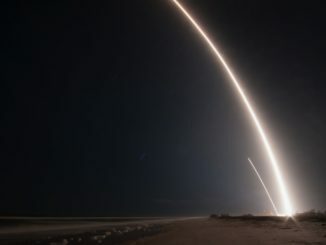 The FAA has regulatory oversight authority over commercial space activities in the United States, with responsibility for the safety of the public and property pertaining to commercial launch operations. 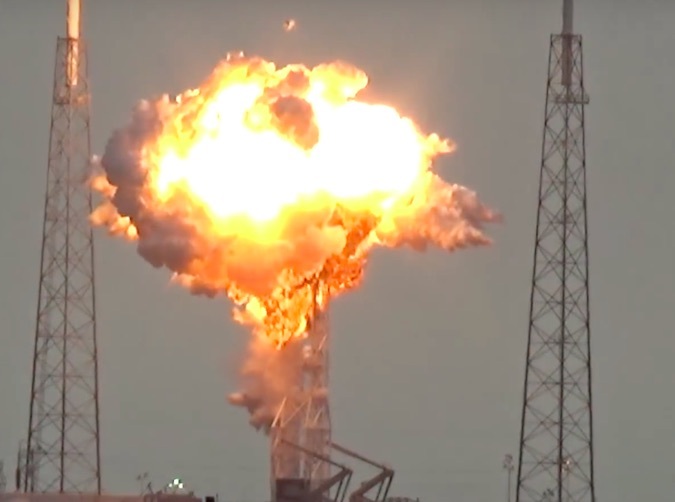 SpaceX led the investigation into the Sept. 1 explosion, which occurred during fueling for a prelaunch engine firing on the Complex 40 launch pad at Cape Canaveral. While the inquiry did not identify a single root cause for the mishap, the company’s engineers determined a high-pressure helium vessel inside the Falcon 9’s second stage liquid oxygen tank burst. The helium tank — called a composite overwrapped pressure vessel, or COPV — most likely failed when liquid oxygen filled a void created when the vessel’s liner buckled, and breaking fibers or friction ignited and led to the rupture of the second stage. The COPVs are immersed inside the liquid oxygen tank on the second stage. The sudden explosion destroyed the Falcon 9 rocket and the Israeli-owned Amos 6 communications satellite already mated to the top of the launcher. An FAA spokesperson said Friday that federal regulators have signed off on the result of the investigation. The mission is scheduled to blast off next week from Space Launch Complex 4-East at Vandenberg with the first 10 satellites for Iridium’s upgraded voice and data relay network. The launch is expected no sooner than Monday at 10:22 a.m. PST (1:22 p.m. EST; 1822 GMT). SpaceX’s launch team conducted a static fire test Thursday — the same type of countdown rehearsal during which the Sept. 1 explosion occurred — with the rocket slated to launch with the Iridium Next satellites. But Iridium’s satellites were not on-board the rocket for the test. Ground crews planned to install the 10 satellites — built by Thales Alenia Space and Orbital ATK — on the Falcon 9 rocket inside SpaceX’s hangar this weekend for a launch attempt next week. The Sept. 1 mishap was the second Falcon 9 rocket failure, coming about a year after a booster disintegrated in flight with a Dragon supply ship heading for the International Space Station. Engineers traced the cause of the June 2015 failure to the same second stage helium pressurization system blamed for the Sept. 1 accident. Investigators concluded a substandard strut holding a helium vessel inside the second stage’s liquid oxygen tank failed around two minutes after liftoff from Cape Canaveral. The helium tank broke free, destroying the Falcon 9 rocket and its cargo payload, including a NASA docking port designed to receive new commercial crew capsules at the space station. 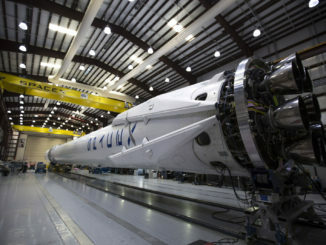 SpaceX officials said the helium pressurant will be loaded at warmer temperatures in future countdowns to prevent buckling of the tank’s aluminum liner. 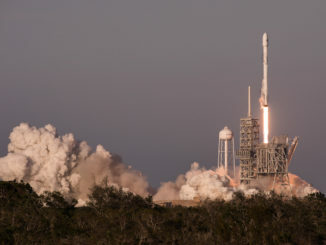 The latest version of the Falcon 9 rocket burns super-chilled “densified” liquid oxygen and kerosene propellants, giving the launcher a performance boost. The FAA license approved Friday covers all seven Falcon 9 launches planned for the Iridium Next constellation, along with landings of the Falcon 9 first stage on a barge positioned downrange in the Pacific Ocean. The $3 billion Iridium Next program aims to replace all of the company’s existing satellites, which were launched in the late 1990s and early 2000s and are now operating well beyond their design lives. 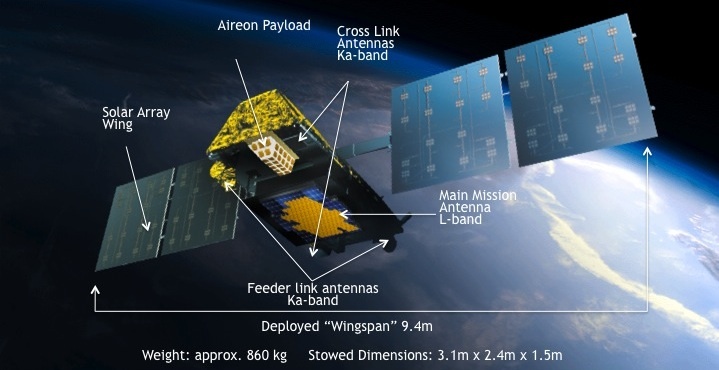 3G cellular services will be supported by the Iridium Next fleet, which will consist of 81 satellites, including spares. The operational Iridium constellation requires 66 satellites — 11 spacecraft in six orbital planes — for global coverage serving more than 800,000 subscribers. The Iridium satellites relay phone calls and messages around the world, bouncing signals from satellite-to-satellite for clients like the U.S. military, maritime and aviation companies, oil and gas operators, and customers in construction, forestry, agriculture and mining.